As a Counselor, Energy Intuitive, and Teacher with 25 years of experience, I am dedicated to helping others discover and live their highest fulfillment and joy through Intuitive Counseling Sessions, Energy Healing Sessions and Consciousness Studies Classes. I offer face-to-face sessions and phone sessions (for long distance clients) and I work with clients on issues regarding relationships, career, emotional healing, and self growth. I believe in the already existing and infinite beauty of the Soul and that the goal of this life is to realize and awaken your own unique and amazing potential. All chiropractic insurance and medicare accepted. Proactive Health with Ela Corcoran (www.ocproactivehealth.com) offers the total experience in holistic health addressing physical, emotional, mental and spiritual aspect of illness through natural, safe, empowering and effective solutions (including Homeopathy, Emotional Freedom Technique, Alkalization and Nutritional Counseling for improving health and also for Weight Loss). Ela Corcoran is has been an SRF member since 1995. She has been helping SRF devotees with their health challenges successfully with inspiration and guidance received from God and Master, as a main source of the healing. She also works as a editor and a coordinator on the SRF project of translating Paramahansa Yogananda's books into Polish language. All devotees, whether Polish speaking or not, can find information on Master and his newly translated and published books in Polish as they become available on Facebook page at www.facebook.com/paramahansajogananda. Please 'Like' it. Jai Guru! Waves of Life Energy Healing. In person and telephone astrological consultations facilitate understanding purpose, gifts, and challenges. They also help optimize timing and location for success and can enhance interpersonal dynamics with healthy patterns of relating. Polarity therapy sessions balance the life force for healing and health building wellness. Yoga and meditation classes and lessons develop intuition and spiritual guidance through alignment with the universal current. What is unique about all my services is that hey are based on Sri Yukteswar's Great Galactic Cycle, and their psycho-spiritual approach removes subconscious sources of dysfunction and trauma related to the recent Kali Yuga. Panic Disorder, from my perspective, is one of the worst maladies that a human being can encounter. Symptoms can include panic attacks, anxiety on a large scale, periods of insomnia, extreme fears, and many others. I know this as I, and millions of others have suffered from the ravages of this disorder, for me culminating in a year of basically no sleep. Eventually, through a program of healing, from the hands, hearts, minds and souls of two compassionate chiropractic physicians, both long time SRF devotees, and ironically one who also experiences the disorder and became a world authority on it, most symptoms associated with P.D. have been eliminated from my life. I am an artist, not a doctor, but through the years I talked to many who experienced the symptoms associated with this malady. From gratitude to God and Guru for the help I received, I decided to compile a presentation of my story with 'panic' in hope it might inspire others to seek the help they need. That story, in the form of a CD, titled: From Flight to Might / My Experiences with and Recovery From Panic Attacks, Depression and Insomnia, was begun in 2008 and took me a year to write and record. I am also hoping to give this presentation as a talk/lecture in the not too distant future. I am offering this CD FREE to those who feel that my story can be beneficial as an aid to help in seeking out answers to nervous disorders. By mail, the only fees will be – 1 CD - $4.60, and 2 CDs - $5.00, which includes the cost of postage, a small handling fee, sales tax I have to pay, and the cost of the shipping envelope. The total cost of receiving the CD personally is $1.50. When you've had a chance to listen and review the CD, email any questions, comments or input you might have, and I will respond in a timely manner. If you wish to talk by phone, that can be arranged. I will do my best to answer all inquiries, and should anything fall outside of my knowledge base, I will research it thoroughly and get back to you. Also, if you feel someone you know may benefit from this message, please forward to them. In a very personal way, I feel those that experience the symptoms of Panic Disorder are in this together, and through our mutual efforts and God’s Grace, will find the answers that will help take us from the impact of this malady to a life of more peace, harmony and joy. I am a Certified Health Coach, specializing in nutrition and healthy lifestyle. My specialty is weight loss. I have been a SRF member for 8 years and am a healthy, satisfied vegetarian. I am able to aid SRF members in transitioning to vegetarian eating or in gaining greater health, including weight loss if necessary. I work with individuals for an hour twice a month...in person, by Skype or by phone. I have been successful in working with clients who wish to be vegetarian and those who are not vegetarian. I set my fee on a sliding scale in $5 increments from $25 to $50 a session. The first meeting is a health history consultation, during which you can decide if you would like to work with me. I also offer one free session for those who would like to pay for 12 appointments in advance. Written material and a binder are included as well as small gifts that can aid you in achieving excellent health. Crossroads Health Center is a full service natural health care facility which offers a wide range of holistic health care services. We are here to guide and support your journey to health and abundant vitality. We specialize in both chiropractic and holistic care to provide the most effective combination in natural health care. Hormone analysis- Female Hormone, Male Hormone, Thyroid, Adrenal tests, Blood sugar etc. Dr Maher has been a kriyaban since 1972. 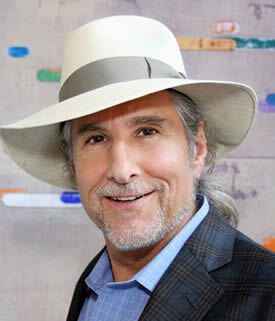 He is a board certified in chiropractic, clinical nutrition and alternative medicine. Initial Exams $75. Office Visit Fees $45, Seniors $40, Minors $30. Insurance billing codes provided. Also open lunch hours and evenings. 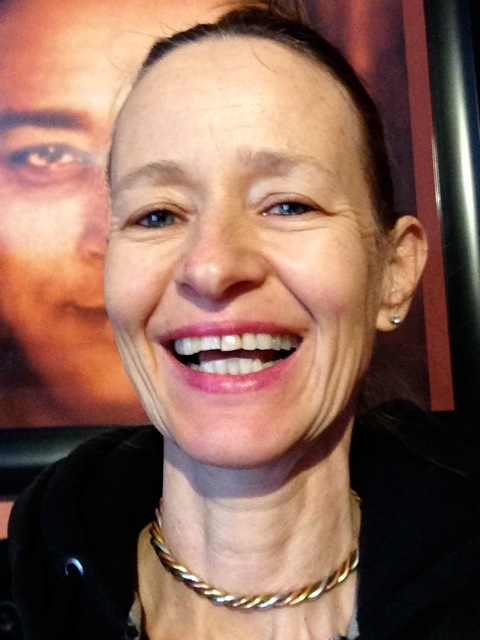 I'm Teri Mahaney, Ph.D., the creator of the Change Your Mind SuperSleep® method and scripting. I spent 25 years studying and experimenting with brain states and theta healing, and putting what I learned into carefully scripted CDs you listen to while you sleep. I LOVE helping you change those unwanted life long patterns overnight! Listen to my CDs on Empowerment, Healing and Wellness, Spirituality, Loving Relationships, Loving Partnership, Success, Money, Student Success, & Parenting, or buy the how-to book and create your own personal scripts and recordings. Please take a few minutes to review the brain research on the website -- and learn what the most healing subliminal/subconscious statement ever scientifically tested really is (it's about oneness). Read the user testimonials clients have written about their results to get an idea of how much you can change with this method. PS: I wrote the script for Balance Your Energy Centers, a Chakra clearing CD (#2 in the Healing & Wellness series) while on a silent retreat at the Encinitas Center in 1995. I sleep to it often. Upledger Cranio Sacral Therapist, Healing Stones, Tibetan Healing Bowls, Hand Made Healing Jewlery, Australian Flower Essences and more. I will help you find balance in your life and health through acupuncture and Chinese medicine. I am an acupuncturist / herbalist blending Eastern and Western therapeutic modalities, nationally certified, also licensed in the State of California. I have a background in Western medicine having worked as a Registered Nurse for a number of years, with a Master's degree in Psychology. I work with the physical manifestation of emotional / spiritual imbalance which may take the form of physical aches and pains, gastrointestinal upset, women's issues, immune system disorders and other imbalances. I also do Nutritional Counseling and Lifestyle Counseling. Craig Marshall was a yoga monk for 35 years and counseled thousands around the world, including many celebrities. Craig now helps individuals honor their deepest call. Through a Self-discovery process, clients achieve a deeper understanding of what means the most to them. People develop the clarity & confidence required to manifest their unique Life-Purpose in their personal & professional lives. This leads to greater focus, success, and joy. Defining your personal Life-Purpose is a unique process. You’ll connect with your intuition, which is always guiding you from within. Are you ready to step into your next chapter? Through fun and interactive dialogues, Craig takes clients on a step-by-step journey to discovery. He helps each individual answer nine essential questions, which lead to understanding of one’s personal Life-Purpose. How will you feel about your life when you retire and look back? Most people wish they had made different choices. How about you? This was the most common regret. When people look back on their lives, it’s clear how many dreams have gone unfulfilled. Most have honored less than half. 2) I wish I didn’t work so hard. This came from most men in hospice programs. They regretted spending so much time on the treadmill of work. 3) I wish I had let myself be happier. Many did not realize until the end that happiness is a choice. Fear of change made them pretend that they were content. It’s never too early to plan and live your happiness. Craig was a child actor and later graduated from USC Film School. Then, his life changed direction. His spirit of inquiry called him to become a yoga monk for the next 35 years. He counseled thousands around the world, including many celebrities. Today, Craig is a Life-Purpose coach, public speaker, and officiates various ceremonies. 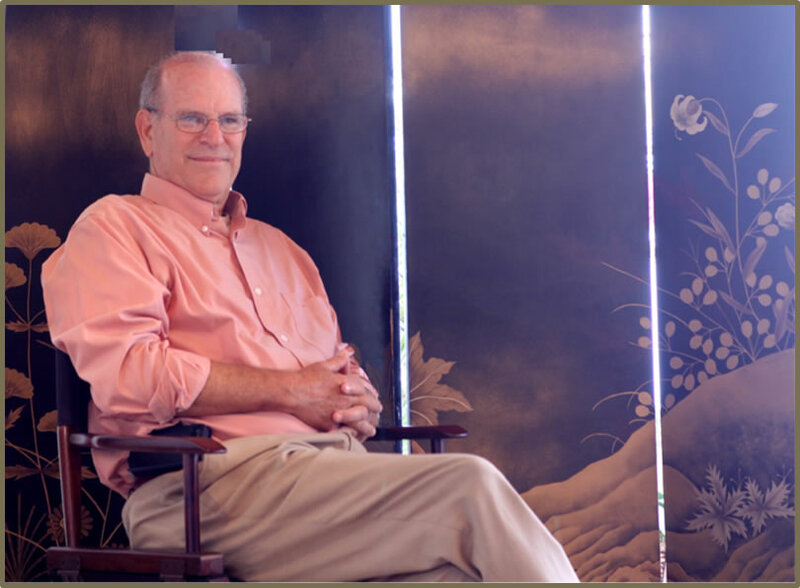 Clients praise his sincerity, humor, and his ability to create a safe space where true transformation can take place. Working via telephone and Internet, Craig serves clients worldwide. Transformational Coaching: An enlightened approach to personal development, integrating psychology, Master's teachings and executive coaching. 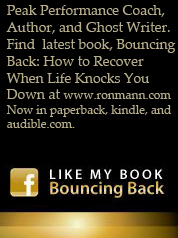 Are life issues holding back your spiritual growth? Has your depth of meditation and devotion plateaued? If you are ready to take off, but could use some clarity and guidance, Lucid Field Radiance spiritual life coaching is for you. Grounded in the timeless wisdom teachings of Yogananda, you now have a coach who can catalyze your growth to take you to the next level. We work with you over the phone so your location doesn’t matter; all that is needed is courage to engage. Scholarships available for those in unusual circumstances. Are you in transition and thinking about the need for change in your life? Are you ready to create a life that is fulfilling, successful and prosperous? Are you moving from one phase of your life to another, and ready to pursue a career or life change? Are you looking for a job and need some support? If your answer is yes to any one of these questions and you are ready to take action, then now is the time to call your own personal Life and Career Coach. Create the life you desire. Call now and make an investment in your future! Emma Glenny, Life and Career Coach, at 818.269.8434 or esglenny@att.net. Source Journey is a powerful, energized, week-long process which brings you to a space of profound love through heightened awareness of your inner self. A peak life experience, this dynamic program provides lifelong positive results. Conducted in limited size groups at our lovely 4 acre Inshallah Retreat in Idyllwild CA., the training is highly effective in identifying and meeting your individual issues, enabling you to clear negative patterns and core beliefs blocking your true life purpose. Many, many devotees have attended and have subsequently confirmed that their meditation practice has profoundly deepened after removing emotional/spiritual blocks they have been dealing with for years! Quite a few non-devotees have subsequently chosen the SRF path as well. Those in the healing professions, both traditional and alternative, frequently refer their patients to Source Journey based on their own positive experience and results. We will be doing our highest level training, Level IV, this spring in the Holy Land. Co-incidentally, all the participants of that particular training are SRF Kriyabans. My husband and I are also Kriyabans...I have been on our path for 38 years. We have never advertised or listed our company...all our business has been referral only. I am an SRF Kriyaban for 15 years and am a psychotherapist in San Francisco and Palo Alto, CA. I work with devotees in the SF Bay Area. Additionally, I am writing short articles on integrating personal life with spiritual life and the various issues and challenges of that process. I am in touch with a couple of SRF monks about my work and interest. If you would like I could offer a couple of articles for the SRF, or other portion of the Alternative Healing website. Let me have the pleasure to introduce to you www.lifepositive.com, a complete encyclopedia on holistic living and new age alternative sciences. There is a growing need for this information and the lives of many people can be benefited. One can now make a more informed decision. We have just the right section on various alternative therapies, which is rich in content taken directly from the Masters and Gurus. Your suggestions, expert comments and guidance will be highly appreciated to make the site more fulfilling and complete. We look forward to working with you and we hope that together we are able to encourage and spread a more holistic approach to life. I am a psychotherapist and a life coach in Southern Maine and an SRF Kriyaban for 5 years. I love working with clients with a spiritual perspective. As a life coach I work with people by phone, so geography doesn’t need to be a limitation. Is there a change or transition that you want to make? Is there a dream you have that needs some focus and support to bring into reality? Is there a gap between where you are in your life and where you want to be? If interested in exploring coaching, call for a free 30 minute introductory session. We will help you expand and have more control of your income and your time by mentoring you in starting your own home-based, franchise-type business in the wellness industry. With our help, you will be helping others do the same. The income potential is unlimited. The company we represent is the world's largest manufacturer of the highest-quality regenerative products on the planet. We also offer the finest mentorship program in the industry to feed the mind and give you the best chance for balanced success. I am a broker and would like to network with others. I can structure Residential and Commercial Purchases and Refinances with best rates. Bankruptcy and low credit score, limited or fixed income not a problem and foreclosure bail out. Jon Cote Home Improvement has been in business for 20 years, with many repeat customers. I am honest, dependable, and have a high moral compass. I am Kriyaban and my wife and I have just sold our house. We are both Certified Hatha Yoga Teachers. We are looking to relocate and I would love to help others with their building dreams, remodeling, repairs or property maintenance. Our reason for relocating is to remove ourselves from the harsh New England winters. Please contact us if we fit your needs. Get in touch when looking to buy or sell in the DC Metro area. Thank you for referring your friends and associates. 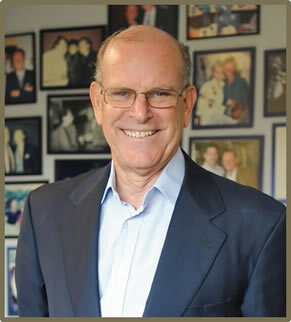 Stuart & Maury, Inc. has proudly served our clients since 1956. "Proud to be: An Equal Housing Opportunity Realtor"
I rent a home, studio, and studio rooms on 2.5 acres in the country in Elfin Forest. We have created a retreat environment with a beautiful meditation room for group meditations. This place is 16-25 minutes to the Self-Realization Fellowship Encinitas temple, 15 minutes from the SRF Escondido Center, and 45 minutes from the SRF San Diego Temple and Hidden Valley. Over 30 years experience in San Diego, California real estate sales. Also specialize in real estate mortgage lending. You can view my website at www.northsdhomes.com Thank you. Ask me any design or home improvement question!!! Architectural services, home design, landscape and interiors. My approach to design is based on your core values, and design decisions are made that adhere to and reflect or express those principles. This results in a project that is unique and expressive of who you are and what your aims and ideals are. Environment is stronger than will. Bring love, light, beauty, peace and harmony into your life- design it! I provide CAD plans for new homes, renovations and additions, site planning, development, and consulting services. We design, build and install water and waste treatment equipment along with plumbing on residential, commercial and industrial projects that have included building desalination plants in the caribbean. We are a licensed, bonded and insured California plumbing company. We can supply a coplet line of water treatment from simple carbon filters to complex waste water recovery and reuse. We are on the leading edge of California's Gray Water issues and can consult either onsite, phone or email. I specialize in ensuring that each person I encounter receives exactly the best products and service they require to live a nervous free existence. Financial freedom gives us the ability to give of ourselves freely to the World. I strive to help each one of us create peace in this area of our lives. Investments that are safe and secure that enable you to reap the upside potential of the stock market, without the downside risk. Creating a tax-free retirement income - with NO government limits on how much you can contribute right now. How to pay off your home 5 - 10 years early, without taking any additional money out of your pocket. The secret to creating an income that you cannot outlive with the money you have now. How to create for yourself a long term care nest egg that will be there just in case you need it. If not needed for long term care - that money can be used for that purchase you really want! I run a tutoring business called FlyingStart Tutoring. 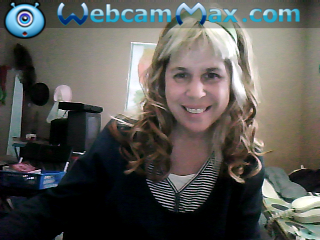 I teach English As A Second Language (ESL).. online or in person. Rates vary according to your financial situation. I work for 2 nationwide language companies but you will be my private students. Lessons can fluctuate according to your schedule. You will learn correct pronunciation, grammar, vocabulary, spelling, reading comprehension, idioms and conversational English. (I can teach online or in person) (for beginners). Learn songs immediately. We start with 2 chord songs and one simple strum and most students can play their first song in one session. All styles of music: traditional, kids, oldies, spiritual, pop, country and more! Pick what style of music you want to learn from and what era/decade you want to learn the song from. Most hard songs can be transposed to easy chords for you to learn from. 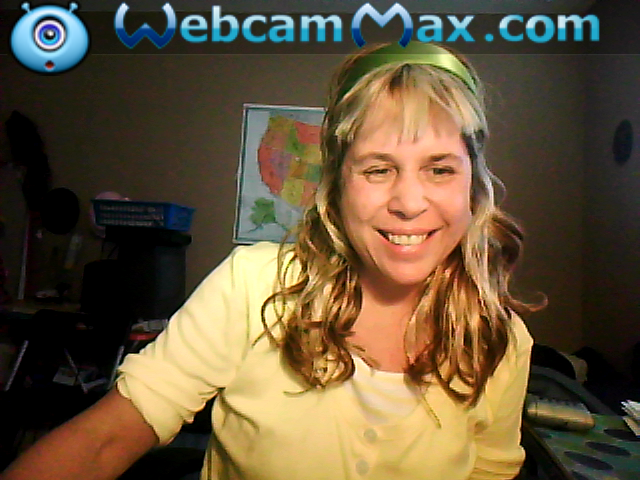 I can teach you online with Oovoo.com, logitechvid.com, Skype etc., or teach you in person. We can make the sessions a half-hour, 45 minutes or an hour. Time periods are flexible so if you have to miss a lesson and re-schedule that is ok. Rates fluctuate on a sliding scale according to the income you can afford. I teach guitar at the Dept. of Recreation and Parks and also for a Professional Nationwide Tutoring company, plus have private students. Music Classes for Children in Encinitas! Julie Rose, Ed.D., a talented musician and SRF Encinitas devotee, is starting a music academy for children, offering classes in voice, guitar, piano, drumming, and basic music skills to children of all ages, from birth to 14! Summer classes will be offered throughout the day, for 30 – 45 minutes, from 9:15 am to 5:15 pm. Please call Julie at 760-815-4890 for a detailed class schedule and fees, or visit www.happychildrensmusic.com. A male voiceover professional working full time, Timothy J. Somers specializes in US English Commercial, Narration and e-Learning. He has 25+ years of successful internal and external communications experience, both oral and written. In addition he has served as communications chairperson for charitable non-profit as well as religious-spiritual organizations. Timothy J. Somers is a full time male voiceover professional specializing in US English with 25+ years of success in internal and external messaging, public speaking, training, oral and written communication-based partnership and business development. In addition, he has been communications chairperson for charitable, non-profit organizations. He has studied voiceover at Acting Studio Chicago, Improvisational Acting College of DuPage Theater Department as well as private VO vouching and voice lessons. • Communications experience in business and non-profit sectors include: Healthcare, Entertainment, General, Television, Spiritual, Religious, Christian, Hindu, Yoga, Meditation, Public Health, Public Relations, Mortgage Banking, Financial, Media, Sales, Fund Raising, Capital Campaigns, Urban, Country, World Travel, Sustainable Development, Marketing. • Webinars with Joe Loesh and others. I provide professional website design and development services, specializing in WordPress, Magento, Moodle and Joomla. I provide professional website design and development services, specializing in custom WordPress development and responsive (mobile friendly) design. I am a EU citizen, I currently live in Italy and have a house in Encinitas, where I would like to move. I am a professional IT consultant, specialised in Business Intelligence, databases and software development. I'm looking for IT companies that might be interested in my skills and/or other professionals who might be interested in starting a partnership/venture over there. LightRay FX is a full service visual effects company, creating fx for music videos, commercials, TV, and feature films all around the world. Services: Concept Design, On-Set VFX supervision, 3D CGI, matte painting, and compositing. I've been a devotee of Guruji since I was 12 years old, and his teachings have been the greatest blessing on my life. Bring your small business to the world wide web! I will work with you to design, build and operate your business on the web. Including shopping carts, mailing lists, contact forms, video, photo galleries, and search engine optimization. Satisfaction guaranteed. Free support for 45 days. Dealing in BOSCH security equipments, Audio equipments, Fire detectors and intrussion allarms. M/s Astute Systems Pvt. Ltd.
Networking and Software solutions at Mumbai, Maharashtra, India. Setting up/ advising / consulting businesses on Local & Wide Area Networking Infrastructure using Cisco, 3COM, Nortel, Lucent & Intel range. Our gross annual revenue is about 20 million Indian Rupees. I have a computer consulting business in the Encinitas area and am an SRF Member. I have quite a few SRF devotees as customers but would like to promote my services to other devotees that may not get to the temple. Here is a summary of what I do. SKDesigns provides a wide range of services to design, develop, and maintain the website that is just right for your needs. Satisfied clients span the United States from coast to coast and throughout the world. Whether you need a new or redesigned website, minor changes, custom graphics, website promotion, consulting, a few tips or training (Internet and related programs), SKDesigns has the expertise for a variety of projects and needs. Your project will be given the attention and care it deserves. Psychology private practice at www.drlily2010.com/ and second business of psychic/angel readings/past life readings/energy healing. Office hours, address, rates and client testimonials are listed. • LAURIE A. BAUM, MSW, is a licensed psychotherapist and certified professional astrologer in practice in Encinitas, California. She is the author of A to Z Acrophonology, Everything You Need to Know About Your Astrology Sign, Sacred Mysteries of Egypt, and Astrological Secrets for the New Millennium. • Laurie has more than 20 years of counseling experience. She blends the ancient wisdom of astrology with traditional psychotherapeutic techniques to help you see the patterns at work in your life. In an astrological reading, Laurie will talk with you about your soul - the reasons you have incarnated, the lessons you are here to learn, and where you are on the wheel of karma. She will talk with you about current influences on your health, wellbeing, career, finances, and relationships. She will look ahead and alert you of the options you may consider. An astrological consultation with Laurie will guide you to the next step in your life. 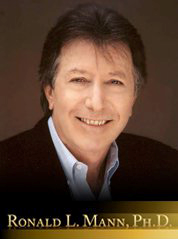 • You may contact Laurie for a session or to obtain books at laurie@lauriebaum.com, or visit http://www.lauriebaum.com. You are welcome to call 760-753-7676. "I am passionate about sharing the gifts generously bestowed by astrology. I also am eager to teach you about how you can benefit from the sacred insights into your soul." The answer is that several decades ago, I was an unsuspecting skeptic of astrology. I was a journalist at Business Week Magazine in the heart of midtown Manhattan. It was inconceivable to me at the time that the planets could have any impact on our lives! Then, I began to have precognitive dreams (dreams about what was coming in the future). The dreams vividly depicted upcoming world events, and I was initially surprised to read weeks later about these events in the newspaper! The dreams became more personal over time. I would dream about conversations before they would happen, about events that were about to occur in the lives of people close to me, and about future events that would unfold (and did) in my life – including, to my amazement, that I would become an astrologer. I subsequently dreamed of unimaginable events that would happen in the more distant future, including the 1989 Chinese student revolution at Tiananmen Square and September 11th, 2001 (dreamt in November 1992). During this period, I would tell as many people as I could whom I thought would be affected and would benefit from the information, including a client who worked in a building next to the World Trade Center, who moved to a safe location just months before the tragic events of September 11th. Over the years, the dreams have been replaced by awareness of unfolding patterns during waking consciousness. These glimpses of the future and the knowledge of unfolding events has guided my work as a counselor and astrologer. The opening of my superconscious awareness has correlated with knowledge that the sacred geometric patterns in the astrological chart open intuitive neurological centers in the brain. I am passionate about sharing the gifts generously conferred by astrology, and I also am eager to teach my clients and students about how they can also benefit from the sacred wisdom and insights into the soul and Spirit bestowed by the ancient science of astrology. Many clients report the uncanny ability of astrology to bring understanding to the past and to foretell transitions in the future. Events that may seem unimaginable from the perspective of the present moment often unfold with greater ease as you learn that your life is flowing according to a plan designed by your soul. Knowledge is power. Having the awareness an astrological reading can provide is invaluable in helping you anticipate, prepare for, deal with, or even transform the range of events that will visit your life. No event is good or bad. With the proper attitude, every event is a learning experience that will help you grow. By having an astrology reading, you give yourself the opportunity to open a window to previously unimagined possibilities. Astrology will help you understand the sometimes unfathomable rhythm of life. An astrological consultation is gift to yourself that is priceless beyond measure. All my life I have been interested in astrology. In my orthodox Christian church it was considered “of the devil.” Then I met Master (1994) through his Autobiography! How thrilled I was! I couldn’t wait to start the Lessons and get Kriya (I did in ’95). He also restored my faith in the accuracy, value and benefits of astrology. People who are hurting, who have suffered terrible abuse, illness or other tragedies find validation in their natal charts. People who have various talents but have been afraid to use them are encouraged. The chart is a picture frozen in time of all our past lives. (Not that I can tell you what they are! Only a Master like Sri Yukteswarji could do that!). Because our natal charts show the habits and talents we’ve created in the past (and as Master tells us we have little free will until we recognize and take charge of our lives), our charts show probabilities of our future. However, I believe that Master was against prediction or fortune telling, because he emphasized the importance of each person using their God-given intelligence, will power and faith to make their choices in life. Therefore, I don’t give predictions or try to change the course of anyone’s life. I do point out the patterns, talents, abilities and perhaps harmful habits that may have been formed in the past and how they may affect your relationships, finances, health, children, career and other areas of life. Bad karma does not have to manifest in the future! Master and the other SRF Gurus always emphasized that our souls do not have to be limited by the actions of the body--that our souls have no karma as they are one with God. However, I do speak in a general way of some of the issues that one may be facing in the future. Jyotish (Sanskrit: “the science of the heavenly lights”), coming from the highest ages, is a much more ancient system of astrology than Western, which came out of Kali Yuga and thus does not use the correct calculation in their horoscopes. In the Holy Science, Sri Yukteswar tells in the year he was writing just where the beginning of Aries is (not at the Vernal Equinox as the Western astrologers tell you). What this means is that whatever sign of the Zodiac you believe your Sun sign to be, you must go back 22 days in order to get the REAL placement! And that is just for the Sun! Your moon, your rising sign, and all your other planets also have to go back approximately 22 days! You will be surprised that “you” are not who you have thought yourself to be astrologically. This is the most glaring difference between Vedic and Western astrology. There are others and having studied both systems, I find Vedic more accurate and far-reaching than Western. Jyotish is the astrology practiced in India for countless centuries. I received my BA equivalent degree from the American College of Vedic Astrology in 2000 after studying with various teachers-Indian, American and British from 1995 soon after I became a Kriyaban. It takes me at least an hour, usually more to prepare your chart and then I give your reading by phone or in person (I live in Wisconsin near Saint Paul, Minnesota) and tape it (with your permission). That takes another 1-1/2hrs. Then I make and mail you a CD of our time together. It has been my joy to do this sacred work especially for SRF devotees because they understand the workings of karma and that the true purpose of life is to find God--not to have perfection in this Schoolhouse Earth. After you have had a natal reading, you may want to come back for a birthday reading showing issues in the next birthday year. People sometimes have urgent questions (“should I take this job, should I marry this person, will I win the election, when will I overcome this disease” are just a few examples) that are best answered with prasna--a chart cast for the moment in time when the question was given to the astrologer. Again, it is not for me to give specific answers but I point to things I see that may make your choices easier. An on-line companion Website for devotees of Self-Realization Fellowship and other religions. My name is Mike Creighton and I work at Astrogems, located in Encinitas, CA. For many years we have been repairing SRF three metal bangles for our customers and local people. Now we are just beginning to offer that service to the rest of the world. • Worn, cracked or broken wires replaced. • $160 to replace the silver or copper wire. • $260 tto replace both the silver and copper wire. • $360 to replace all three wires. • All repaiirs are done with pure metals. • As part of the repair process we anneal and polishh your bangle so it looks brand new. • Over 100 brokenn bangles repaired so far. Contact us via email at: banglerepair@gmail.com or by phone: 760-632-1999 and ask for Mike, Rich or Nick. All her adult life in America, Trudy, a Jewish refugee from Austria, blamed herself for failing to rescue her father from the Nazis. Just as she began to share her father's letters that she had tucked away for over fifty years, she received an unusual invitation from a church in Austria asking her to return to her hometown for a week of friendship, seeking forgiveness for their country's crimes of the Holocaust. But how can Trudy forgive them, when she hasn't even forgiven herself? Is it possible to heal from the Holocaust? The daughter, Judy Faust, tells the story and explores the difficult and challenging journey to forgiveness. 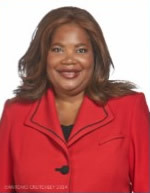 Judy C. Faust is owner of What's Your Story? an educational service that connects to history to family stories and the arts. She lives in South Portland, Maine. "The presentation and discussion afterwards was as powerful as the movie. Thank you!" a resident at The Highlands Retirement Community, Topsham. What a wonderful evening of film, storytelling, and discussion you provided for the kick-off of our Hope and Remembering: Honoring and Healing film/discussion series in Portsmouth. On behalf of Awareness UNlimited, Portsmouth Community Radio, and the Cohen Center for Holocaust Studies at Keene State College, I want to extend our sincere thanks for your presentation. The audience certainly was caught up in the stories you shared both in the film and through your narratives at the event. Those stories and the important issues of healing and forgiveness in your presentation that lead to some insightful and intense discussion. I believe everyone enjoyed tremendously. The completed feedback sheets included responses to “Quality of presentation” and “Informative and worthwhile” of all 4’s and 5’s (5 = outstanding). YourFuneralPlanner.org, a free, pre-planning service. 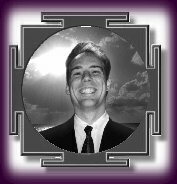 I’m Gary Handel, a Professional memorial/funeral ceremony and funeral pre-planner. Did you see Ma's Ascension ceremony? Wasn't it beautiful? Would you like a Self-Realization Fellowship style ascension ceremony? Let me help you plan yours. - Members can make a ceremony in any way they wish. - You are free to use Master's writings, chants etc., but He should be given credit when they are used. - If you live near a SRF Temple, you can have the Minister perform your ceremony. My second free service is also very important. I can help you set up plans and funding for your future funeral. People who do so, find there is great peace of mind in this just like when they create their Will and Advanced Medical Directive. Remember, I can make the planning a nice experience.